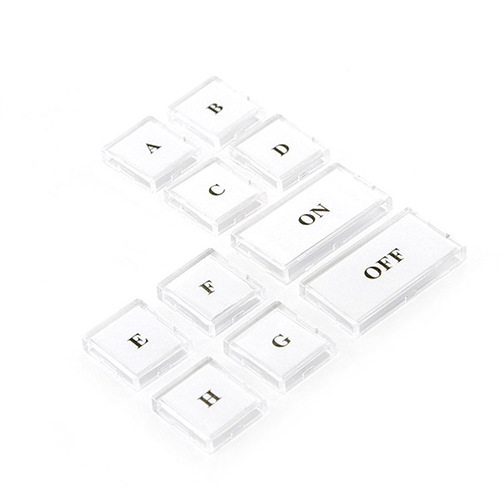 Replace the buttons on your KeypadLinc V2 with clear buttons so you can print personalized labels for each of the keys. This is a great yet inexpensive way to increase ease of use and functionality while maintaining the quality of your KeypadLinc V2. 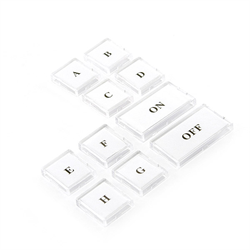 Each kit contains the keys required to replace all of covers for either a 6 or 8 button KeypadLinc configuration.